Dr. Veerachai has more than 30 years experience, proven by his distinguish award, “Thailand Top 100 Human Resource Award” (Academic Achievement & Consulting) in 2012, awarded by Thammasat HR International Awards. For academic professional, Dr. Veerachai is currently an advisor at Knowledge Management Committee, Thammasat University as well a lecturer for Master of Business Economics Program, Thammasat University. 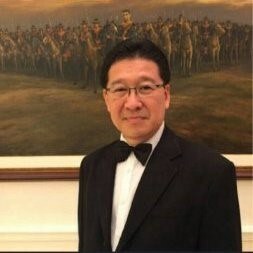 For management prospective, he is a Chief Development Officer of COACH A (Thailand) Co. Ltd. – A Global Coaching Firm with expertise in Executive/Corporate Coaching, Head Office in Tokyo and Branches in New York, Shanghai and Singapore. He also is an Advisory Committee and committee member for many distinctive organizations including, Center for ASEAN Studies, Thammasat University, The National Legislative Assembly, Faculty of Global Studies & Social Entrepreneurship, Thammasat University. Advisor – Industrial Engineering Committee, Engineering Institute of Thailand under H.M. The King Patronage.